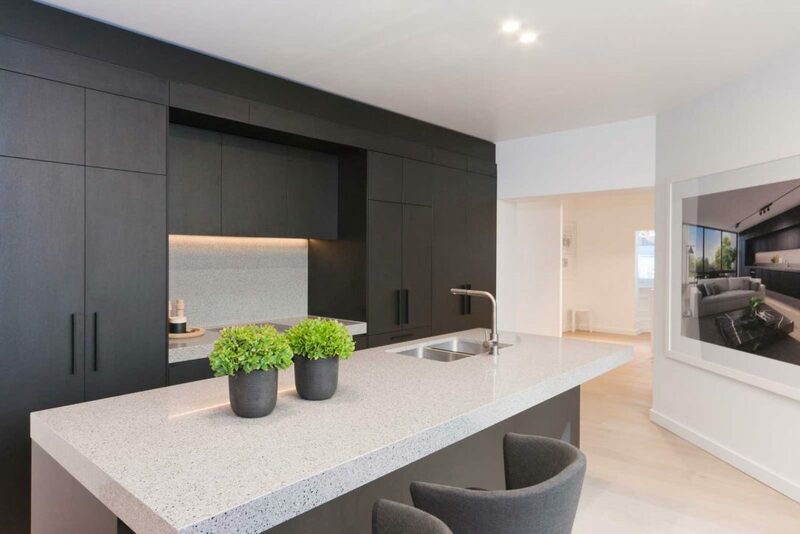 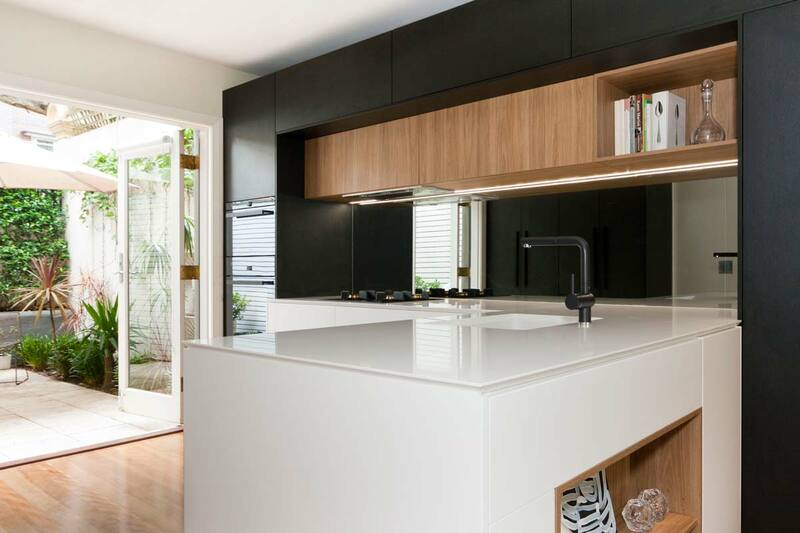 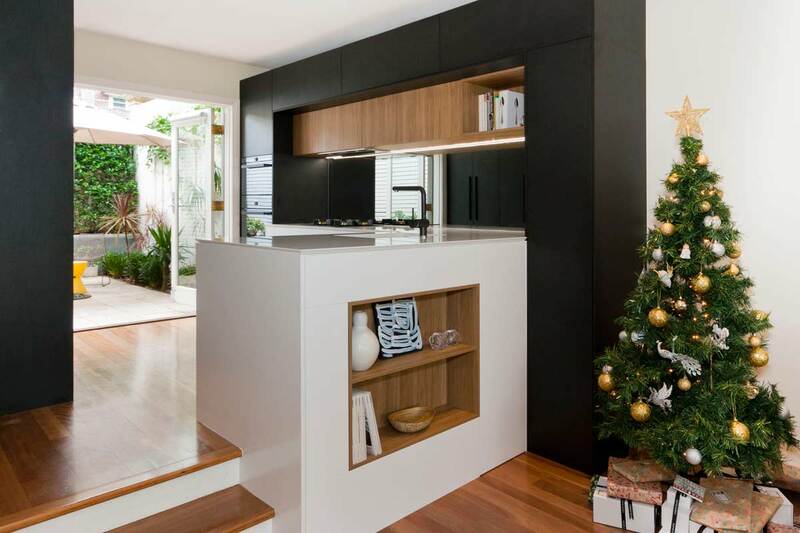 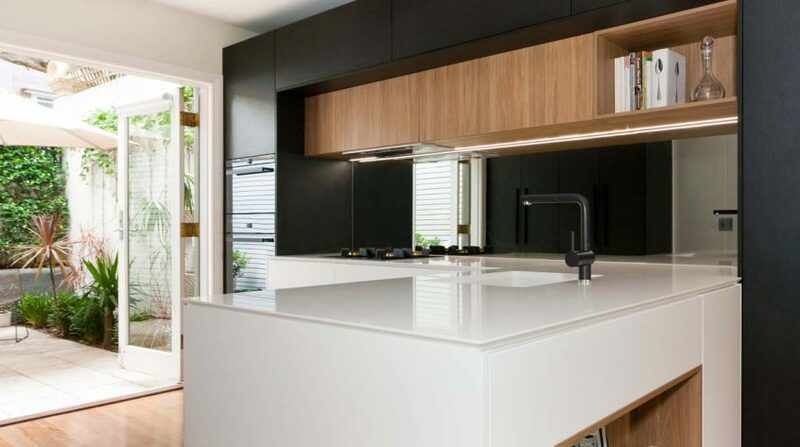 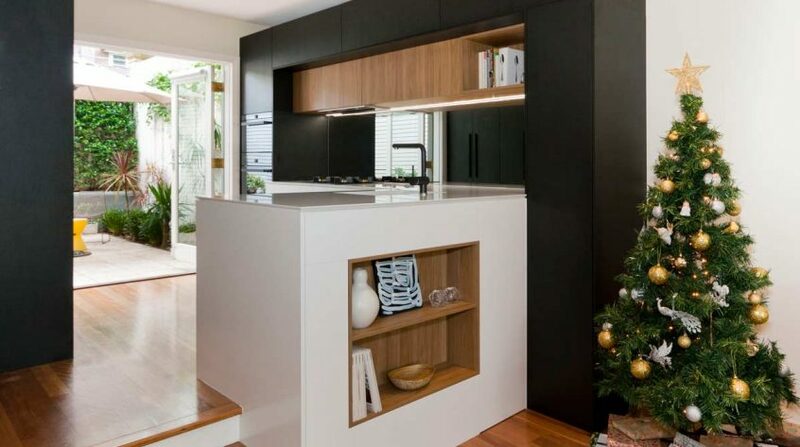 The owner of this penthouse unit in Bondi removed some walls to maximise space in the new kitchen and make the living/dining room bigger. 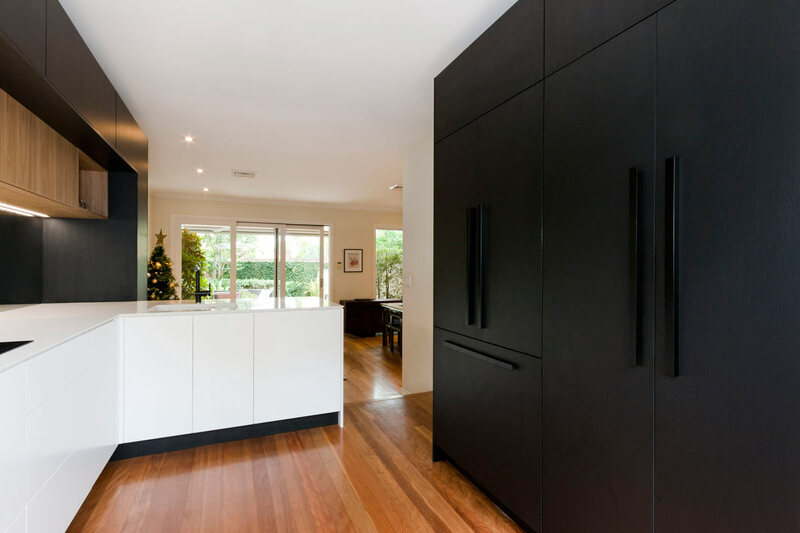 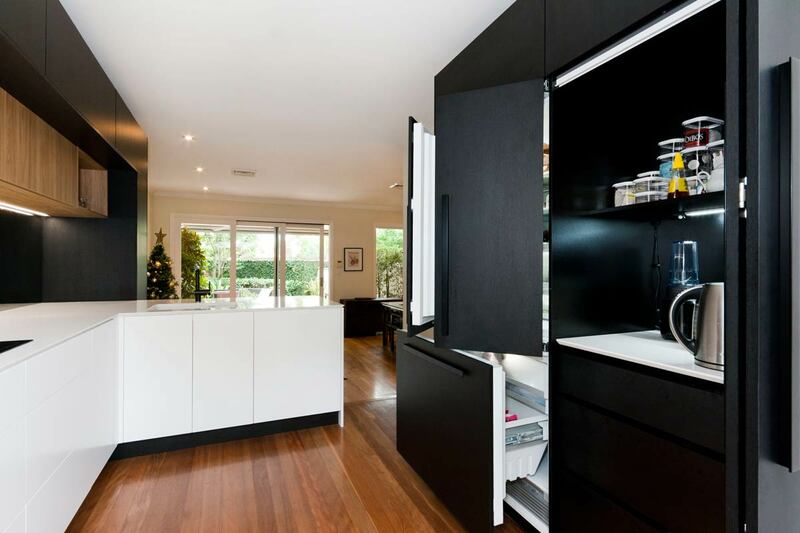 With a sleek, minimalistic & industrial look, all appliances here are either hidden or integrated. 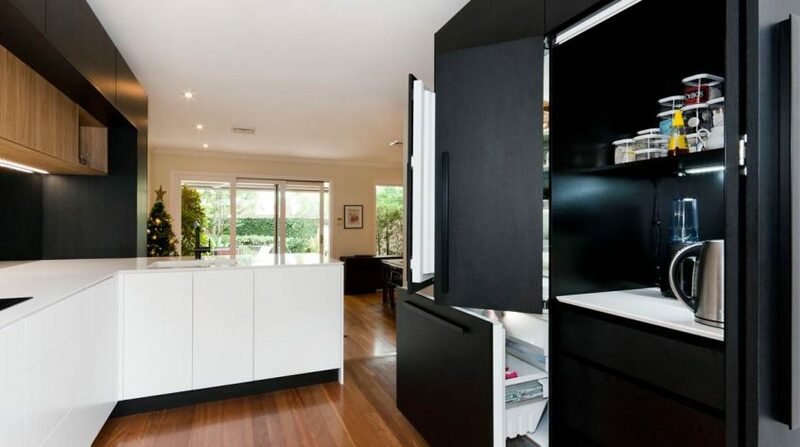 Besides kitchen appliances, this tidy kitchen also features a concealed laundry. 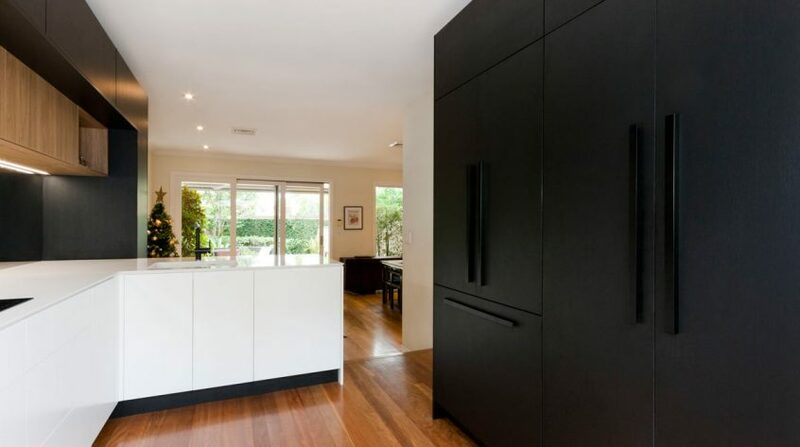 With the space saved the owners were able to add a second bathroom which was a huge bonus and they were very pleased with the result.